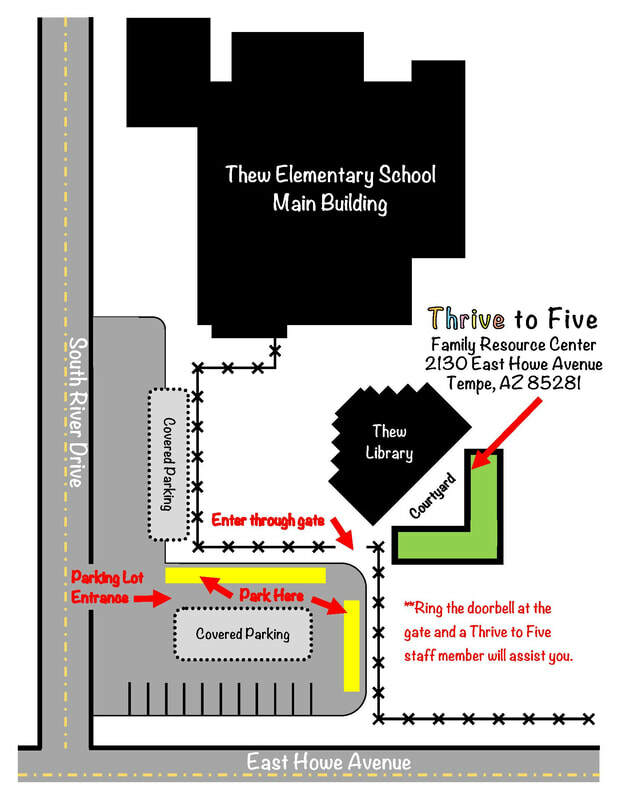 The mission of Thrive to Five is to help families prepare children for success in school. 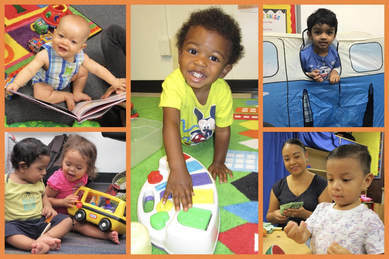 ​The classes below are FREE to all parents and caregivers of children age birth to five. Join the fun and learn new ways to help your child prepare for success in school. April Closures: Our Thrive to Five Family Resource Center will be closed on Friday, April 19th for Spring Holiday. In this class, we will discuss strategies to work with your child to be prepared for success in kindergarten. This class is targeted to parents of children 3-5 years old. Each family will receive a free school readiness kit. This is a parent-only class, with free childcare provided. 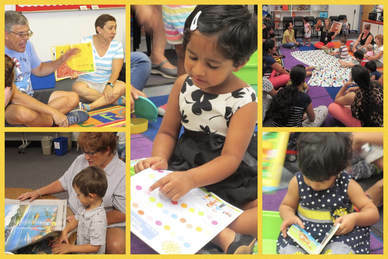 Come enjoy a fun story time and songs together. Each family will receive a free children's book at the end of the class session. Childcare will be provided for any child that is not in the age-range of this class. Come discover mindfulness skills that you and your child can learn and share to create happiness, comfort and fun through art and yoga. Baby PLAY is for infants and babies who are not yet walking. If your child is already walking, please choose toddler PLAY. Come discover mindfulness skills that you and your child can learn and share to create happiness, comfort and fun through art and yoga. Toddler PLAY is for toddlers and preschoolers who are walkers. If your child is not yet walking, please choose baby PLAY. In this parent-only class, you will learn CPR and First Aid skills and receive CPR certification. Participants must stay the entire 4 hours to receive the CPR certification. Free Childcare provided. This 4-week series for parents of children 0-5 years old will help you nurture your child with a “just right”combination of freedom and positive discipline. Participate in First Five Years™ & learn: your child’s development and growing brain, preventing tantrums and other problems, using mindfulness to keep calm, and six ways to prepare your child for school success. Este programa de cuatro sesiones le ayudará a criar a su hijo combinando de manera “justa”, el fomento de la autonomía y el establecimiento de una disciplina positiva.Participe en Los Primeros Cinco Años™ y aprenda sobre el desarrollo cerebral de su niño, la prevención de berrinches y otros problemas, el uso de mindfulness (atención plena) para relajarse, seis formas de preparar a su hijo para el éxito escolar. ¡Incluye materiales GRATUITOS, regalos por asistencia y servicio de guardería! Come enjoy the story, The Golden Egg, and go for an egg hunt with your child. Each family will receive a copy of the The Golden Egg at the end of the class. Choose one session to attend. Your child will enjoy 45 minutes of fun sensory exploration and good old-fashioned, messy fun! Parents will learn about how play impacts brain development and get ideas for creating messy play at home. Be ready to get messy! Come enjoy the story, Wake Up, It's Spring, and do an art activity together with your child. Listen to a story and get creative with your child. Children will have an opportunity to paint a masterpiece after the story session. Wear your painting clothes! The Phoenix Zoo will bring some of their animals for children to see and hear. Children will learn about the different sounds that animals make. Join us as we welcome Mr. Micah from the Tempe Library. Mr. Micah will lead a fun and engaging story and song session geared toward toddlers.